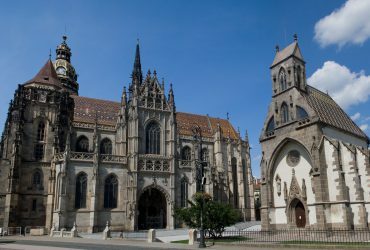 Košice is the metropolis of the Eastern Slovakia and the second largest city of Slovakia, near the borders with Hungary (20km), Ukraine (80km) and Poland (90km). The first written record dates back to the document from the year 1230 in which the city was mentioned as Villa Cassa, however the archeological findings confirm that its territory was settled already in the Paleolithic era. Gradually the city received privileges and rights of a free royal town with the right to erect city walls and so Košice became the second most important city right after Budín. The document on coat of arms dated from the year 1369 issued by the Hungarian king Ľudovít Veľký is of big importance. Košice, as the first European city ever received the right of its own coat of arms, thus this document is the oldest city document on coat of arms in Europe. Until then this right had only been awarded to aristocratic families. Košice were the European capital city of culture in 2013. During that year. 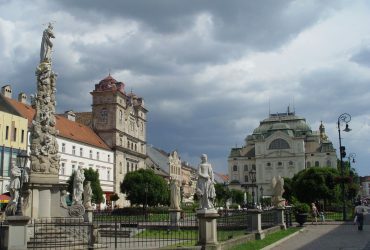 Košice became globally popular by pursuing significant cultural events. 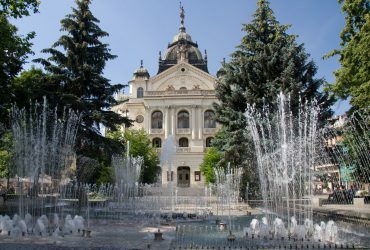 Košice also gained a prestigious title European city of sport of 2016. The Historical heart of the city forms the biggest monumental reservation in Slovakia. Artistically and historically most valuable objects are situated around the original medieval square- Main street today, which is a 3 minute walk from our guest house. Among the most interesting sites in Košice surely belongs the biggest church in Slovakia and at the same time the easternmost gothic cathedral: St. Elisabeth cathedral – the renowned touristic portal Tripadvisor named the cathedral as one of the most interesting places in Slovakia. From the other monuments, it’s Urban’s Tower, St. Michael’s Chapel, State Theatre, the Levoča House, Andrásy’s Palace, Immaculata Statue, Historical City Hall, Jacab’s Palace, Mikluš‘ Prison, Slovak Technic Museum, East-slovak Museum, the city fortress, many shrines, but also jewish synagogue. You can take the tour around the historical city centre on a train, completed with an expert interpretation. From a vacational places we would recommend the biggest zoo and botanical garden in the middle Europe. You can also have some fun at the kids historical railway in the Čermeľ valley, which was the first recreational railway in Czechoslovakia. In a nearby village Herľany, you can see a ow temperature thermal water geyser– the only cold artesian spring in Europe. 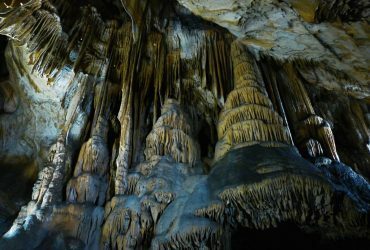 A little more far you will discover the Jasov cave– the first accessible cave in Slovakia. Annually Košice is the venue of the oldest marathon in Europe and second oldest marathon in the world: the International Peace Marathon. Try something new, undiscovered city full of passion, history, culture, hidden treasures, creativity, sport opportunities, culinary experiences.